Preimplantation genetic diagnosis is a procedure which detects the presence of a genetic defect or abnormality of the embryos before they get transferred into the mother’s womb. This examination is recommended to patients who are carriers of certain genetic diseases or chromosomal translocations. It ensures that faulty embryos will not be transferred. Preimplantation genetic screening is designed to test for a variety of genetic diseases. In fact, that is the only difference from PGD, which detects particular diseases. It helps reveal the possible genetic diseases of an embryo in cases when parents do not have a history of a genetic disease in their lineage. It is important to point out that the ordinary PGD/PGS tests are not completely reliable. That is why, at Prague Fertility Centre, we have developed an enhancement of the reliability of genetic testing by implementing new revolutionary methods. 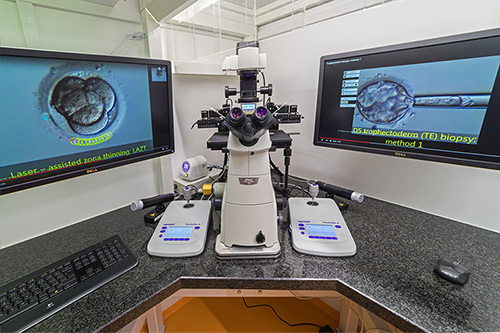 All embryos meant for PGD/PGS tests are continuously monitored by time lapse technology. The monitoring is not invasive, meaning that it does not affect the environment of the embryo at all. 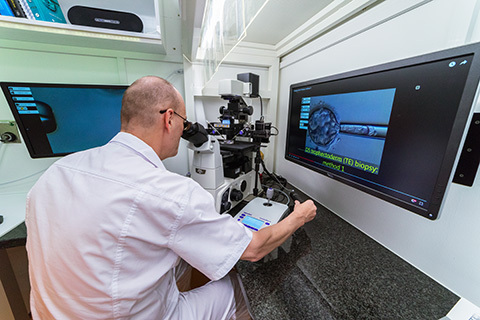 Time-lapse technology can detect a faulty embryo at the right time before its selection for further PGD/PGS testing, which is done only with embryos that have undergone correct development. This process ensures that only the highest-quality embryos will be selected for genetic testing and get to the transfer. CATI is the first automatized system for embryo scoring and selection in the world. 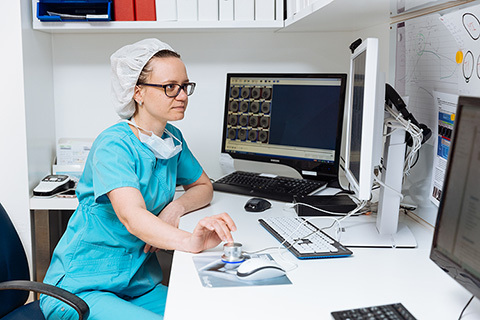 Time-lapse technology has been adopted by many clinics, as it has proven to have positive results. But we went further with our embryology research. Dr. Daniel Hlinka invented an algorithm that automatically records and tracks embryo data with the help of artificial intelligence. 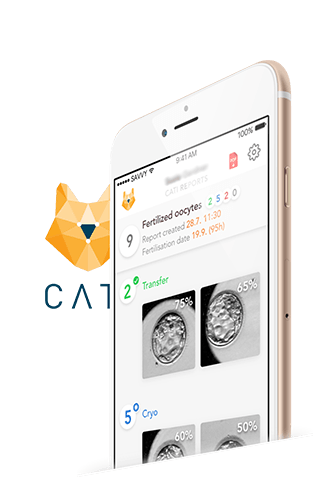 You can try out our unique CATI technology by downloading our app, where you can continually track embryo development while CATI predicts its success rate.